The Gonorrhoea Information Campaign was a joint initiative of HIV Ireland, the HSE Crisis Pregnancy Programme, HSE Health Promotion and Improvement Department, SpunOut.ie and the Union of Students in Ireland. The campaign was also supported by a Multidisciplinary Control Group convened by the Department of Public Health, HSE East, consisting of Specialists in Public Health, Consultants in Genito-Urinary Medicine and Infectious Diseases, General practitioners, Surveillance Scientists, Healthcare Managers as well as Health Promotion and Public Communications experts. 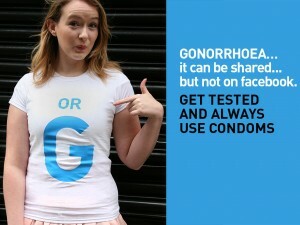 The campaign was developed in response to increasing gonorrhoea infections in Ireland, particularly in the Eastern Region, and targeted young (heterosexual) people aged 17 to 25 years primarily through social media channels (Facebook and Twitter and Irish lifestyle websites). The main aim of the campaign was to raise awareness about increasing gonorrhoea infections in Ireland and to promote information about gonorrhoea symptoms, transmission, prevention and testing as well as promoting consistent condom use and regular STI testing. The campaign was developed in consultation with young people, who also volunteered as models for the development of social media ads. 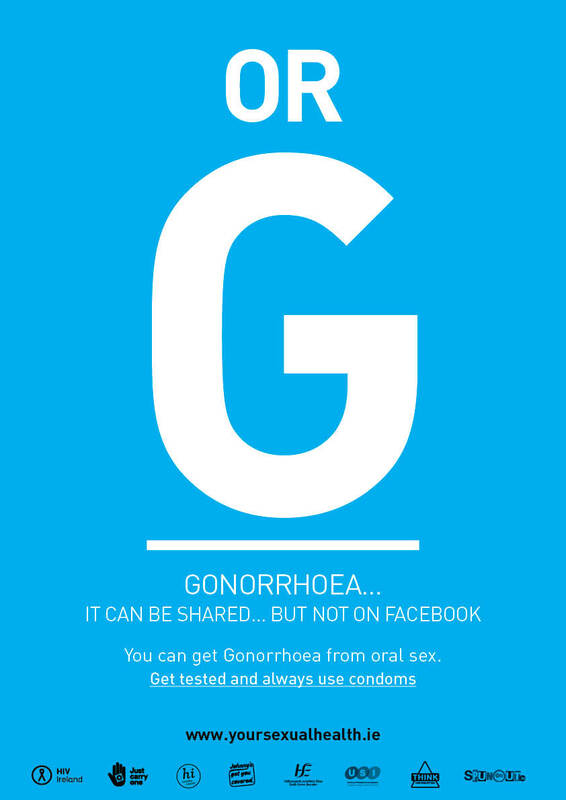 A new information booklet on Gonorrhoea was produced as well as campaign posters. The campaign was promoted from 9th December 2013 to mid-February 2014, and culminated in a Valentine’s Day promotion. Results from the campaign showed a 59% increase in website visits compared to the same period a year previous to the campaign; a 48% increase in page views on the website; and a 91% increase in page views on free STI testing clinic information. Up to 190,000 people were reached through partners’ Facebook pages and the campaign hashtag – #OMGsti – trended on Twitter in Ireland on the first day of the campaign. The main recommendation of the report is to build on the success of the campaign to develop a national STI prevention campaign specifically targeting young people. Download/View the Gonorrhoea Campaign Report. Download/View a Poster Presentation about the campaign. Download/View the Gonorrhoea Information Booklet. Download the Gonorrhoea Campaign Posters.